Shelby Materials can produce decorative concrete for any residential or commercial need. Architectural concrete has been increasing in popularity since the early 1990´s. One of the most basic types of decorative architectural concrete is integrally colored concrete. Two types of integrally colored concrete are most popular in today´s construction. Powder, or granular additives or liquid material can be added at our ready mix plants to ensure optimum consolidation of color in your decorative mixes. Liquid integral color is the more popular and most effective answer for how to get rich decorative color into your regular gray concrete. Color hardeners are also a popular material used to color concrete. 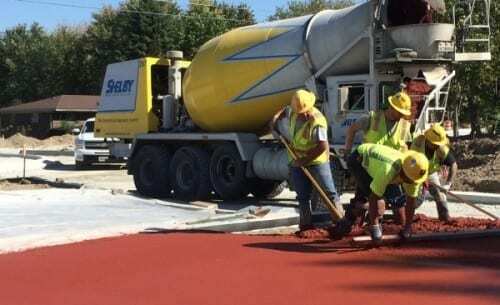 Color hardeners are broadcast topically onto freshly placed concrete and floated into the surface. This is very effective for smaller area pours and high traffic areas. 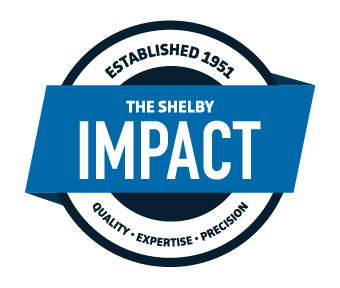 Shelby Materials partner with many industry experts to provide you with the best materials and information for your decorative concrete jobs. Stamping concrete is a process that involves imprinting fresh plastic concrete with a variety of tools. This imprint can result in many different types of surfaces. Along with traditional items such as slate, cobblestone and brick, concrete can be stamped to resemble shapes, wooden decking or even custom drawings. When stamped concrete is coupled with integral color and tinted with liquid and or powder release agents, many natural patterns, colors, and stone shapes can be achieved. Staining concrete is one of the most popular applications for transforming concrete slabs. Often referred to as colored concrete, homeowners, designers, and builders are drawn to stained concrete because of the unique outcome that can be achieved combining colors, application techniques, etc., on cement flooring and other substrates. The results are limited only by the creativity of those involved in the stained concrete process. Exposed aggregate concrete is a very popular choice for many homeowners and business owners. Concrete is placed and smoothed just like any other job, but another step is added that removes the paste from the surface to expose the aggregate underneath. This look is very popular in driveway borders and pool decks. A unique looks can be achieved by adding a number of integral colors to the mix prior to pouring to give the base color of a concrete a different look. Many sealers are on the market for exposed aggregate as well. Some of these are tinted to a variety of colors to give your concrete a one of a kind look in your neighborhood. Polished concrete is quickly becoming an affordable alternative to waxed flooring. Thanks to recent adhesives in polishing equipment and techniques, contractors are now grinding concrete floor surfaces whether old or new to a high gloss finish that never needs waxes or coatings. Concrete already has superior durability and performance and when contractors add the professional look of polishing, it´s no wonder that retail, warehouses, and office facilities are turning toward polished floors. Even homeowners are catching on to the appeal of these smooth, high luster floors. Combine polished floors with an acid stain and you have look natural polished stone floors. Transforming residential and commercial concrete products into works of art through additions of integral color, stamping, staining, polished, and exposed aggregates.